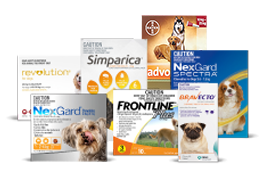 All the pet products and meds sold on VetShopMax are selected by our qualified, licensed veterinarians and animal health professionals to ensure that they are safe products from reputable companies we trust. All products sold by us are brand name, and have the longest expiry dates available. 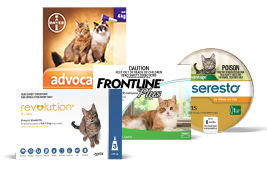 We wouldn't sell anything that we wouldn't use on our own pets. Because we operate over the internet we can offer terrific savings. Many of our products are between 50% and 65% cheaper than the recommended retail price in the USA. 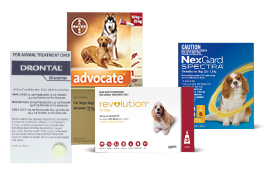 If you find the total price of the products you wish to buy cheaper on any USA or Canadian pet online pharmacy, simply call us before you order and we will match their price*. JUST GIVE US A CALL ON 1-866-560-6346! No matter how much you order, or how heavy your order is, you will only ever be charged $6.95 and if you spend over $125, shipping is FREE! So why not get together with a friend? We guarantee prompt shipment. Your order will be filled within 2 working days whenever possible. If, for some reason your order is not dispatched within 5 days, we will contact you by email. Most of our orders arrive in 7 to 14 days of being shipped. Some orders arrive in less time, and in some rare circumstances orders can take longer, but our customer research shows 97% of orders are received within 21 days of dispatch. If your order is not received within 28 days of shipment, contact us to arrange a replacement or refund. Our 28 day delivery guarantee does not apply to deliveries delayed due to significant strike action, bad weather or other factors outside our control which delay the postal service. If for any reason you are not happy with any non-prescription products(excluding stock marked as clearance) you order when you receive them, tell us why and then just return it unopened in the original packaging for a replacement or refund. Please note, stock marked "clearance" cannot be returned or replaced. 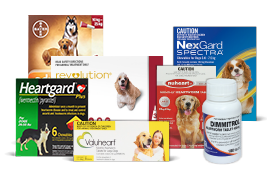 Buying online from VetShopMax is safe and reliable. To ensure your payments are secure we use the latest available 256 bit encryption technology (also known as SSL Technology). Your credit card details are never sent by email and your details are never disclosed to anyone without your permission. We understand that your privacy is important, that's why we will never pass on your name, address or email address to anyone without your permission. The information you provide to us is kept secure and only held for the purposes it is provided, such as processing payment and dispatching your order. 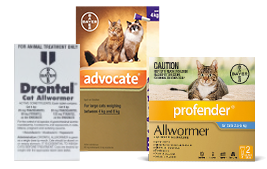 All pet meds and other pet products sold by us are brand name, and have the longest expiry date available. Products which we sell are manufactured in the same factories, with the same ingredients as those sold under the same name in the USA. To keep costs low, products are often sourced from outside the USA. 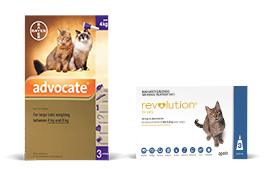 This means that the packaging may be slightly different to that available in stores in the USA. For example, weights and measurements may be in metric. All instructions for use and safety notices are written in English.